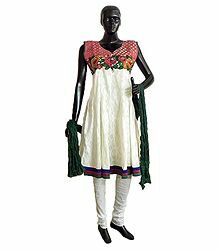 The elegance and the grace of chikan stitched salwar Kurta makes them a wonderful piece of garment. 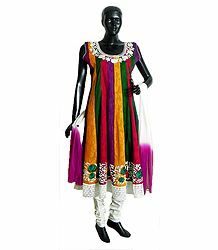 It is the traditional wear of Indian women since long time. 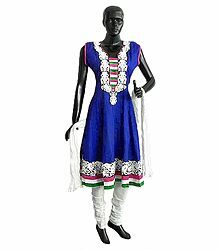 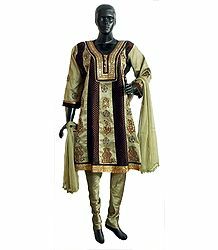 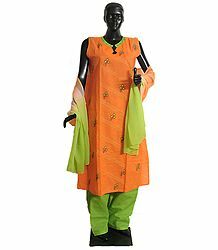 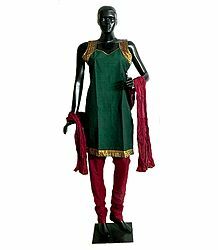 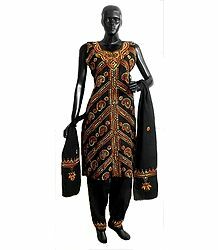 Embroidered ladies salwar kurta come in many different styles. 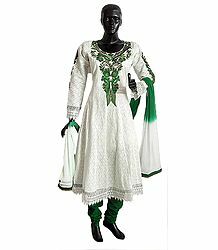 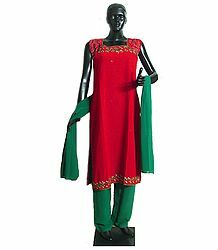 The embroidered salwar kameez made up of a comfortable fabric, can be worn on festivals or other celebrations. 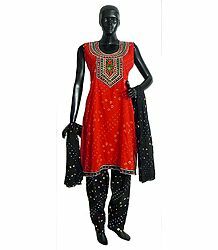 Feminine and graceful, the salwar suit is decorated with embroidery and mirror work. 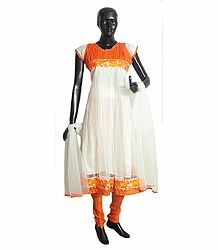 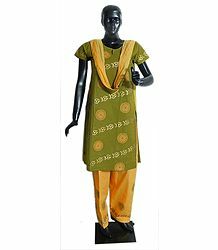 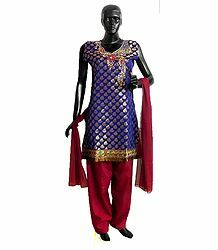 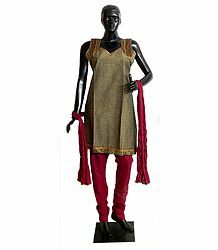 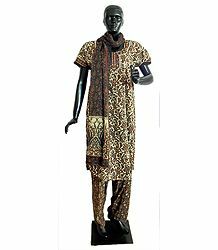 Shalwar or Salwar kurta is a dress that is popularly worn by people of India. 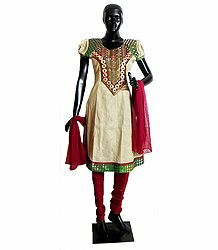 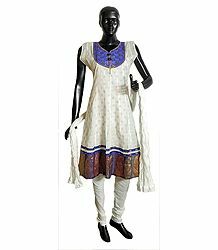 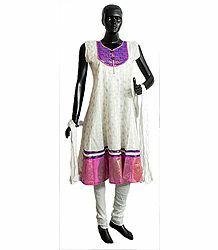 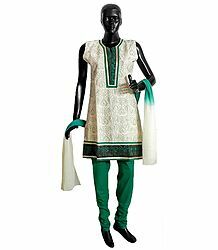 Kurta is available in both long Embroidered in white thread called 'chikankari' from lucknow or colorful threads and from Rajasthan and add that extra charm and elegance. 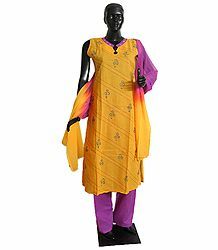 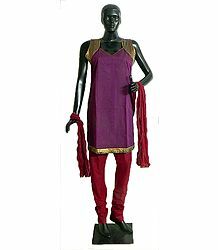 Consisting of three pieces, it has a Kurta (top), Salwar (loose pants) or churidaar (tight pants) and dupatta (scarf). 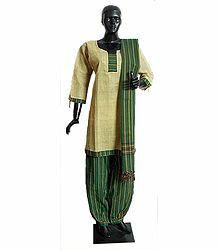 All these handmade pieces exhibit great craftsmanship and hard work. 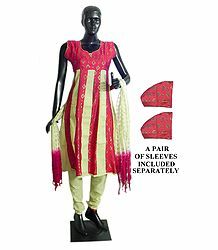 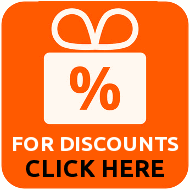 It is easy to carry and hassle-free.